Packaging: The Avon Illuminating Face Pearls are packaged in cardboard box with details printed allover. Inside is a round glossy black container with a thick foam sponge that rests over the pearls. 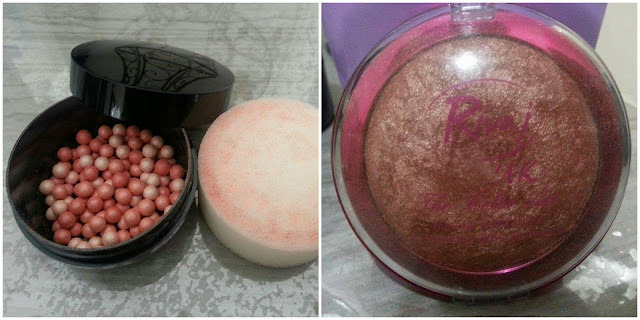 The Rivaj UK Terracotta Blush comes in a domed container with a transparent lid that snaps open and close. Formulation: Both products are pressed and produce a frosted finish. Color: Both are a copper tone. Pigmentation & Color Payoff: Rivaj UK Terracotta Blush is highly pigmented and will show off beautifully on all skin tones, whereas the Avon Illuminating Face Pearls are very sheer and hardly visible on my medium skin. Application and Blending: The Avon pearls take some effort to apply as a brush doesn't pick enough of the product but the Rivaj terracotta blush can be applied using a brush. Both products do not come with any puff or brush for application. They can also be applied using finger tips, but I wouldn't recommend that for hygiene purposes. Lasting Power: Both lighten after a few hours of wear and need to be reapplied. 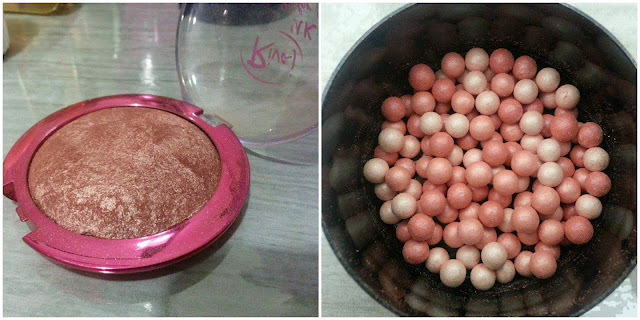 Availability: The Avon Illuminating Face Pearls can be purchased through Facebook from their sales representatives and the Rivaj UK Terracotta Blush is available at leading general and super stores across Pakistan. 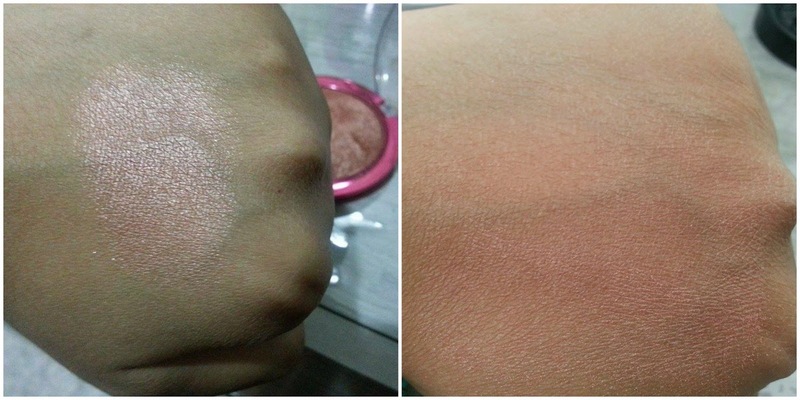 Verdict: I'd pick Rivaj UK Terracotta Blush anytime over the Avon pearls because it is highly pigmented, shows on my skin tone and is pocket friendly. Plus, there's a lot of product in the container, so you don't need another one for ages. Rivaj terracotta blushers are a definite hit for me as well! Loved the conparison post kiran. They seems so cool! Thanks for such a nice review! The avon illuminating face pearl looks good. The rivaj terracoota blush looks worth to try too.